In just over a week’s time, the twenty-ninth annual Living Traditions Festival is set to unfurl for three days at the Salt Lake City & County Building. 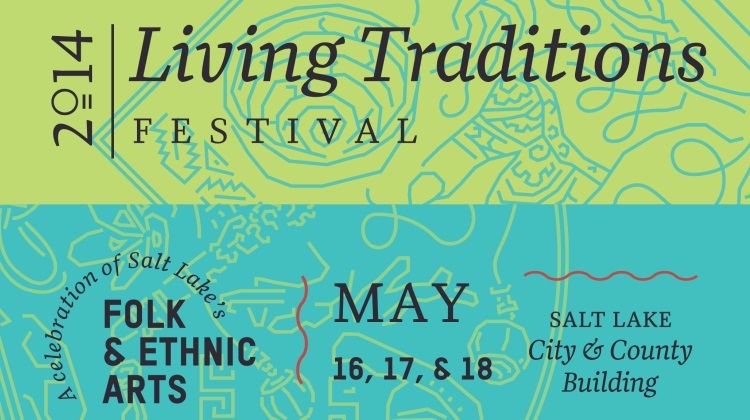 A community celebration of Salt Lake’s rich cultural diversity, the Living Traditions Festival focuses on the traditional music, dance, crafts, and food at the heart of all ethnic communities that call Salt Lake their home. The festival will open to the public on Friday, May 16, from 5:00 to 10:00 p.m. The festival continues Saturday, May 17, from noon to 10:00 p.m. and Sunday, May 18, from noon to 7:00 p.m. The best bit? Entry is completely free. The Living Traditions Festival brings people together to honor the diversity and cultural traditions of our community. Local ethnic artists – craftspeople, dancers, musicians, and chefs – provide the framework for the festival. They teach us about techniques, styles, tools, and materials used in their respective art forms, many of which are centuries old. There are many ways to experience the festival from performances to food. At the festival’s stages, more than 70 performances by local choirs, dance groups, and individuals of all ages and backgrounds present the traditional songs and dances of their respective communities. This year we are adding a third stage and are excited about the atmosphere it will bring to the festival. Its intimate setting brings a great balance to the festival grounds. All of the stages embody the diversity of cultures in Utah and bring the community together for a contemporary experience based on the heritage of past generations. We are also very excited to have such a diverse and talented group of headlining acts this year. Friday, May 16th features Red Baraat. They are a pioneering eight-piece band from Brooklyn, New York. 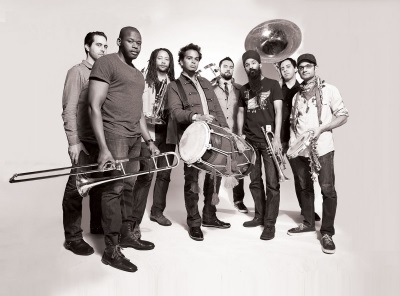 Conceived by Sunny Jain, the group has drawn worldwide praise for its singular sound — a merging of hard driving North Indian bhangra rhythms with elements of jazz, go-go, brass funk, and hip-hop. Created with no less a purposeful agenda than manifesting joy and unity in all people, Red Baraat’s spirit is worn brightly on its sweaty and hard-worked sleeve. It is being returned to them in cities all over the world, as word spreads of the band’s incredibly powerful live performances. On Saturday, May 17th A Tribe Called Red showcases the contemporary evolution of the pow wow. 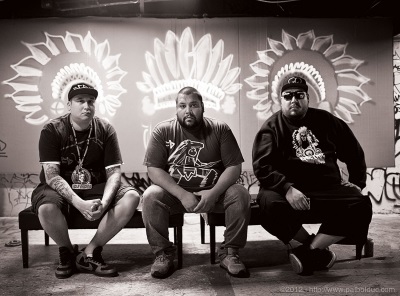 Since 2010 the group – made up of two-time Canadian DMC Champion DJ Shub, DJ NDN and DJ Bear Witness – has been mixing traditional pow wow vocals and drumming with cutting-edge electronic music. Their self-titled album, released in March 2012, was long-listed for Canada’s prestigious Polaris Music Prize and included in the Washington Post’s top 10 albums of the year. Finally on Sunday, May 18th Quetzal closes the festival by respectfully continuing the legacy of over 70 years of Chicano Rock. Standing on the shoulders of giants like Lalo Guerrero, Ritchie Valens, Cannibal & The Headhunters, The Brat, and Los Lobos, Quetzal has created a path that has earned them the title of “one of Los Angeles’ most important bands” (LA Times). 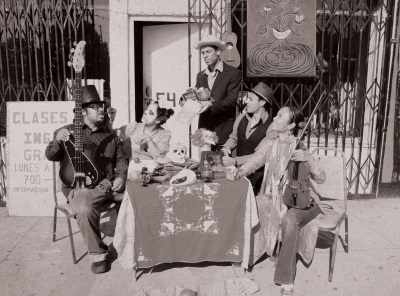 They are an ensemble of highly talented musicians, joined for the goal of creating good music that tells the social, cultural, political, and musical stories of Chicanas and Chicanos of East Los Angeles and their kindred spirits, locally and around the globe. They received the Grammy Award in 2013 for Best Latin Rock, Urban, or Alternative Album. The Living Traditions food market is a delight for the senses as the twenty food booths prepare and sell traditional and delicious ethnic foods. The booths are operated by local nonprofit community groups and churches and all of the proceeds generated by the sale of food at the festival go back to those organizations to support their own community arts programming. At the craft demonstration and display area, local artisans share the techniques and materials used to create their handmade crafts with the audience. These master craftspeople have acquired the skills and techniques that are passed down through generations or learned through apprenticeships. The Living Traditions kids area provides the opportunity for youth to explore other cultures through hands-on activities. Local traditional artists teach youth the story behind the craft and show them how to create their own. Stuart is the founder, writer and wrangler at Gastronomic SLC and The Utah Review; Stuart is a former restaurant critic of more than five years, working for the Salt Lake Tribune not to mention other local Utah publications from Utah Stories through to Salt Lake Magazine and Visit Salt Lake. Stuart is a multiple-award winning journalist and has covered the Utah dining scene for more than a decade. Largely fueled by Uinta Cutthroat, alliteration and the use of too many big words he doesn't understand.